Ah, today was such a better day. It started as a lazy Friday morning. Being at the Holton Creek River Camp, I had access to a flush toilet, oulets and water spigot. I woke early but decided to enjoy all the amenities. Even made a hot breakfast. Now, by hot breakfast I mean for once I didn’t eat a breakfast bar but made hot ramen noodles. I took my time. The camp host informed me that the noise I’ve heard all nice were possums. I personally think they’re adorable. I started hiking by 830am. It was a smooth trail and a clean one too. A few debris but nothing like I had experienced the day before. I was in a much better mood and was happy to be hiking. I knew I had less than 16 miles to do and was excited to get to camp. The day went by fast. I met Night Terror on his way out of the campground. He was hiking southbound and had about 450miles done. Also met 2 sobo section hikers as well. Out for a few days only, they thought it was cool we were thru-hiking. Why couldn’t they do it too? 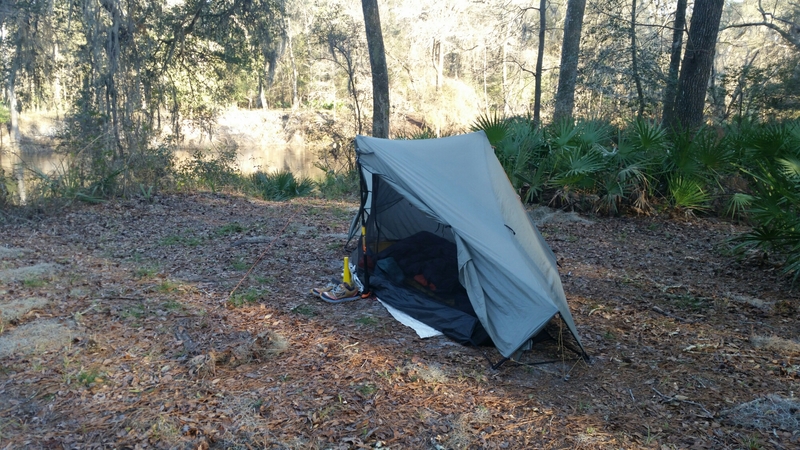 I arrived to camp around 330pm and set up my tent. Now what!? Here I was excited to arrive to camp early and now I was here and didn’t know what to do with myself. I layed out wet socks to dry. Counted my food. 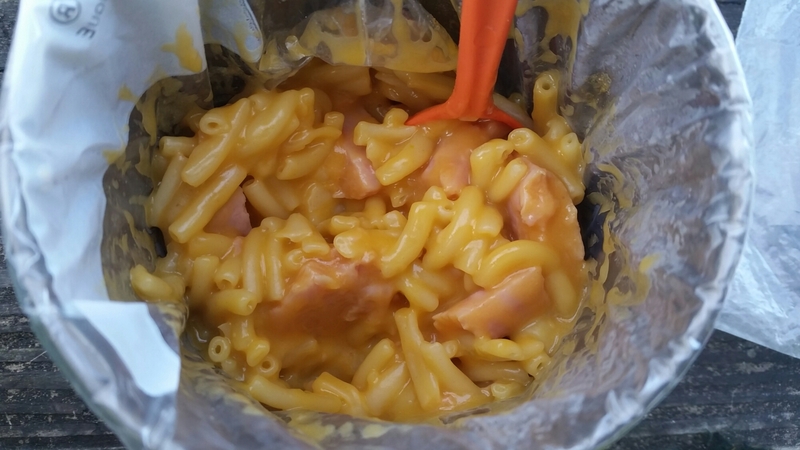 Made some nasty generic Mac’n cheese, which I will never purchase again. I decided to go lay in my tent and suddenly I heard ruffles in the bushes… Someone was coming! What could it be? The site was close enough from the road to have some locals come here and party. It was Friday night after all and it was beautiful out. I hoped not! I saw a little oranged hat and realized it was Joey! He wanted to hike another mile or so but he could use the company so he stayed. We talked, or should I say I talked a lot! I finally stayed up until after dark! A first on this trail. Today was a nice dry section with no loose dogs either. 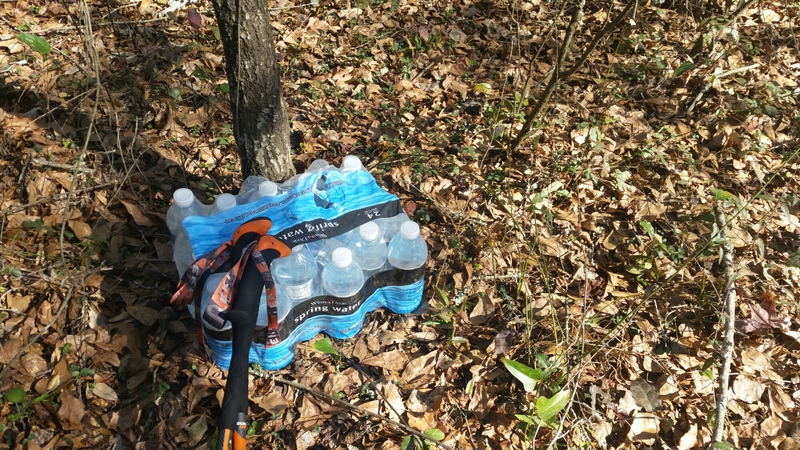 Bill Walker had left some water caches as well which was a nice treat. A town nearby had raw sewage spill in the river making it unsafe to drink… I always treat my water but raw sewage, no thanks. It had became a dry section until his cache. 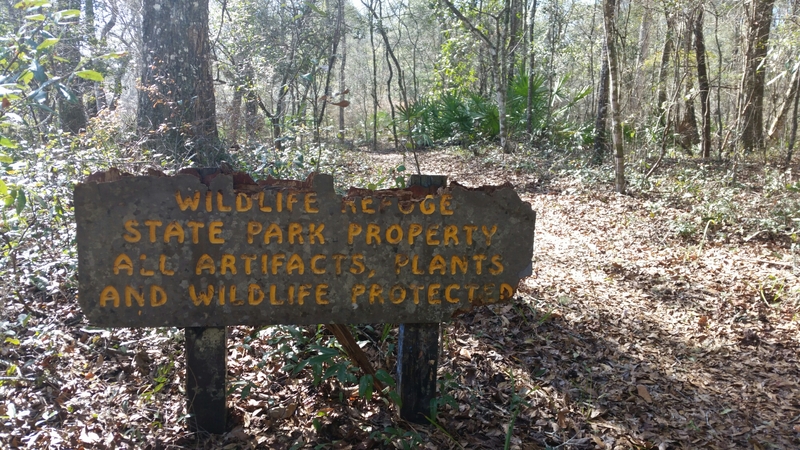 Florida Trail has many property boundary post like these. My only concern about these is the fact they thought that using Comic Sans for their font was the right thing to do. C’mon! 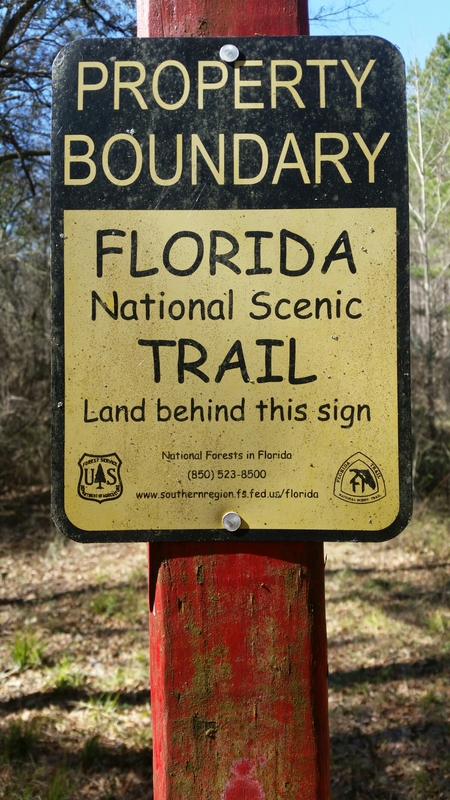 If you want to be taken seriously as a National Scenic Trail don’t ever use Comic Sans. It was smooth hiking and I loved it. Wish every day felt like this. Happy trails. LOL, only a designer would notice that font! It is odd, though….